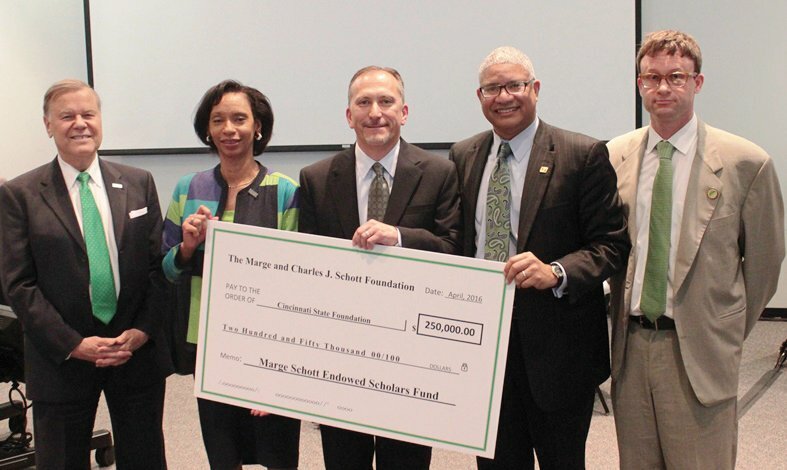 The Marge and Charles J. Schott Foundation is giving $250,000 to endow a scholarship fund at Cincinnati State for low-income students. Scholarships will be awarded to students who demonstrate financial need, have selected a career path and have achieved impressive academic progress during their first or second semesters. One of the college’s major goals is to help more promising, low-income students stay in college and earn certificates or degrees. Money is too often a barrier to academic achievement for such students, said Dr. Monica Posey, interim president of Cincinnati State.